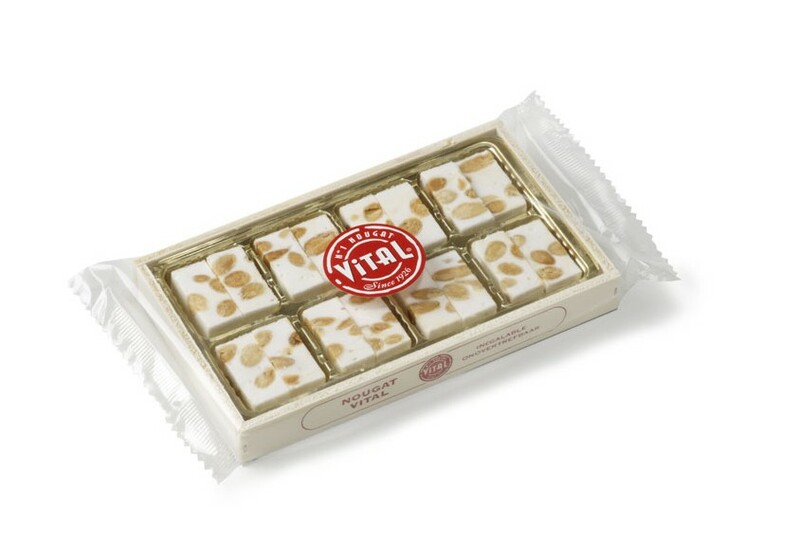 Confectionary manufacturers - Nougat wooden gift 125g. 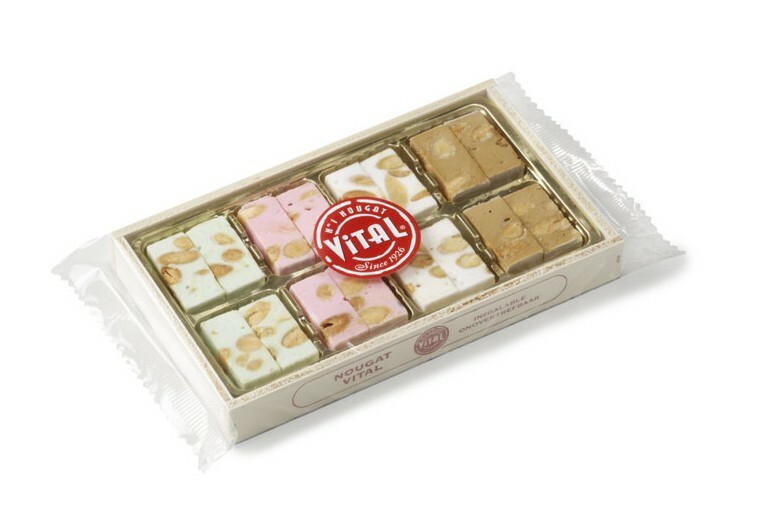 -- Almond | Papaya & Pineapple | Vanilla & Chocolate | Vanilla, Cappuccino, Raspberry & Pistachio. 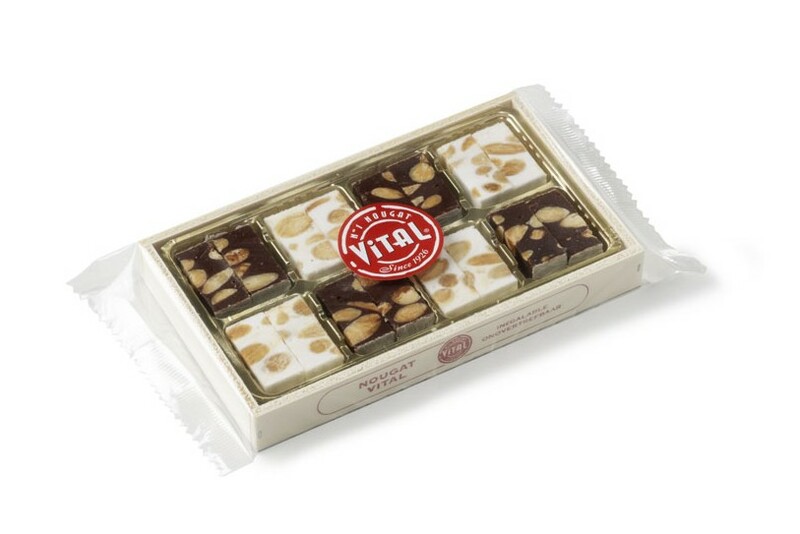 Nougat Vital has a shelf life of 18 months, in its original packaging. Free of gluten, milk, lactose, peanut, colouring agents and preservatives. Cholesterol free and suitable for vegetarians. 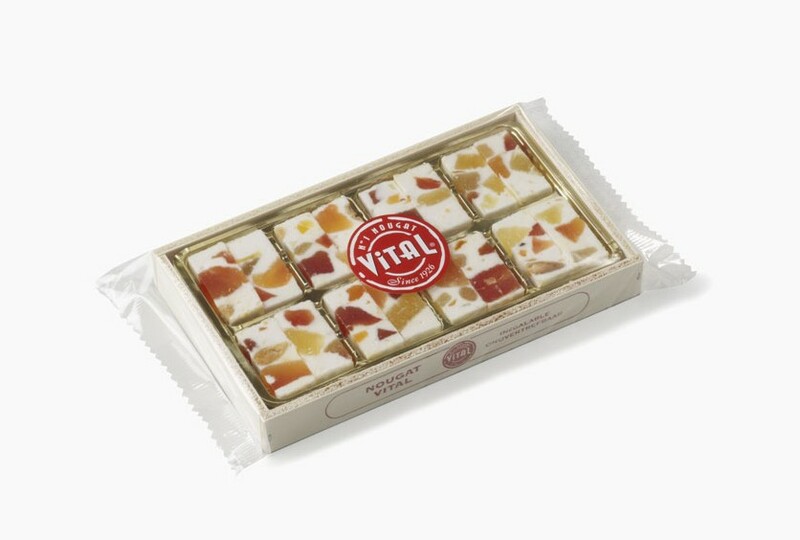 Net weight per gift box: 125g. Number of units per outer case: 14.